Singapore-based bank OCBC made an interesting digital move just recently. The bank embraced the fintech wave by officially opening their internal data to be used as public API services called Connect2OCBC. This move is the first one in the region and no banks has ever done this before even though recently BCA has already moving in the direction by holding a Hackathon. Using this API, software developers can programmatically use OCBC’s data to enrich their own services. Quoted by The Edge Market, OCBC Senior VP for Group Operations and Technology Praveen Raina said that the bank aimed to create a ‘data social network’ which facilitates free flow of certain non-customer data that will benefit any third party and the community as a whole in a secure manner. Praveen added that OCB has been in discussion with several fintech startups and real estate firms in order to help them make an optimal use of this API’s. “As we mature, we see more and more collaboration with third party app developers, and that’s where the ‘API economy’ comes in. Organisations that don’t do this will be left behind. This is no longer a matter of choice, whether we do it or not,” he added. Developer manual and use case examples are available on Connect2OCBC site. Being asked about future plans, The bank are focusing to add more services to the platform and the additional services expected to be ready the end of the year. However there are still no information whether the data will include OCBC presence outside Singapore (e.g Indonesia). Indonesia online payment startup Doku held a developer competition called Indonesia Internet of Things (IoT) Challenge 2016. This competition invites young Indonesian software developer to submit their creative IoT products which integrates with Doku payment platform. Partnering with software development house DyCode, Doku offered total prize of 30 million IDR for the winners. In the press release, Doku’s CEO said that this competition aimed to encourage young developers to show their talent and solve real problems using IOT and Payment platform. This competition is open for anyone and participant are free to choose their preferred programming language and IoT tools. Submission is currently open until 28th of May and finalist will be announced on 5th of June 2016. Indonesian internet users has an unique habit of using Social Media as an e-commerce platform. Instagram and Facebook has become primary channel for online sellers to showcase their product especially for individual sellers and SME. Leveraging on this phenomenon, Telkom affiliated company Finnet launched Finpay Link, an online payment gateway services tailored for Social Media sellers. With Finpay Link, sellers will be able to create customizable link for their product and embed them easily in social media. This will enable customer to instantly pay the products just like in ecommerce marketplace sites such as Elevenia or Lazada. More convenient options compared to current practice of doing manual bank transfer. Finnet CEO Niam Dzikri said that manual bank transfer has 65% error rate. Most of this errors contributed by human factor such as mistyping the account number and payment amount. Finpay Link aim to minimize these mistakes and made payment process in Social Media selling more straight forward. Apart from this, Finpay link also offer real time confirmation notifications and bank account checking. Singapore based startup, FinAccel, recently launched online financing services called Kredivo. This services enable its users to buy things online on credit which they can also pay it in installments. To do this, FinAcccel partnered with local financing companies BFI Finance. What makes Kredivo interesting is it offers the capability to do real time credit risk assessment. When Kredivo users buy an item, the platform do a background check based on variety of information. There are about 1000 variables are considered to determine users credit score including self-reported data about income, employment, marital status, but also social network data like how often someone posts, how many friends you have, what type of phone you use etc. Currently, Kredivo is integrated with 20 online merchants including e-commerce marketplace Jualo. Ahmed Aljunied, Jualo CTO said that they like the product very much and it give significant spike to the transaction. Kredivo user has 30 days to pay for the item, without additional fees or interest. If payment isn’t completed in 30 days, interest will be charged with 2.95 percent per month and late fees of 3 percent a month. As part of my job as Innovation Management, on a weekly basis I deliver quick industry updates to the relevant XL Digital services team. Since i will be writing this for work, might as well post it here. Hope you guys find it useful. Bank BCA in collaboration with DailySocial held Financial Hackathon event on 23-24th April at Segarra Ancol. By doing this event, Bank BCA encourage software developers and innovators to build creative fintech services using their recently launched Data API. For this competition, BCA invited several experts in Indonesia startup ecosystem to be the judges. Amongst them are Andrew Darwis (Kaskus), Anton Soehartyo (Touchten), Rama Mamuaya (DailySocial) and several others. Three winners were announced at the end of this events. This initiatives can be seen as increasing commitment from Bank BCA to dive in into Indonesia digital ecosystem going forward. No news yet on whether their Data API will be accessible for public or not. Considering the massive size of BCA, it will spark a whole lot new services if their API opened for developers and startups. Apart from BCA, Bank Mandiri also had started a move to venture in Indonesia startup ecosystem. Earlier this year, this biggest bank in Indonesia launched their venture capital subsidiaries called Mandiri Capital Indonesia (MCI). For this venture, the corporation has set up IDR 500 bio funds to be invested in several potential startups. Budi Gunadi Sadikin, Bank Mandiri CEO, explained that the company sees the emerging trend of disruptive technologies following the growth of Indonesia digital ecosystem. For example, Ride-hailing apps and various e-commerce players have changed the way Indonesians do business. Bank Mandiri cannot afford to be left behind in this movement hence the decision to jump in directly into Indonesian startup ecosystem. “Financial technology startups are in this money moving business. That’s why we (Bank Mandiri) entered this space with a focus on fintech,” Budi stated. Mandiri Capital Indonesia will be focusing to invest in fintech and e-commerce digital payment space to leverage on existing Bank Mandiri’s business. Currently, the bank had more than 2 million merchants which mostly receive payments in cash. Leading ride sharing startups Gojek have started to expand into cashless payment business by upgrading their previous Gojek Credit features into separate business called GoPay. Following this update, users can top up GoPay using bank BCA, Mandiri and BR with maximum balance IDR 2 million per user. Gojek users will be able to pay all of related Gojek services (Gofood, Goclean) using GoPay. Going forward, theres a big possibility for Gojek to utilize GoPay for universal cashless payment platform apart for their own services. Pekan lalu, Popcon 2015 diselenggarakan di Assembly Hall JCC Senayan selama tiga hari berturut turut. Popcon adalah sebuah konvensi kreatif yang memamerkan karya karya budaya pop Indonesia. Walaupun ditampilkan juga produk kreatif lainnya, Popcon selalu identik dengan komik. 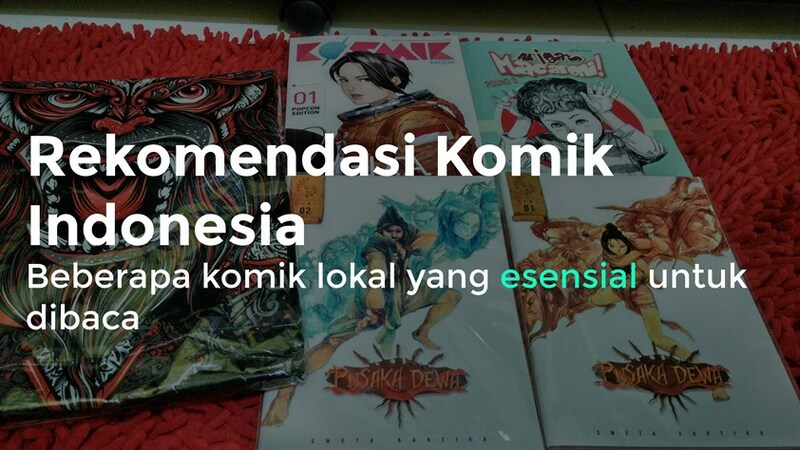 Sebagian besar booth di Popcon berisi showcase komik dari seniman dan studio grafis disertai dengan merchandise seperti stiker, kaos dan juga art book. Untuk yang tertarik dengan komik dan karya grafis lainnya, Popcon adalah acara tahunan keren yang wajib untuk didatangi. Berdasar pengalaman mendatangi acara ini dua tahun berturut turut, Popcon semakin ramai dan karya karya yang di tampilkan disini semakin meningkat baik dari jumlah maupun kualitas. Meskipun dari sisi industri komik lokal belum sebesar karya kreatif lain seperti musik atau film, beberapa komik lokal mempunyai kualitas gambar dan cerita yang bisa dibandingkan dengan komik mainstream amerika (DC, Marvel, Dark Horse) dan juga manga manga dari Jepang. Berkaca pada besarnya antusiasme dan meningkatnya karya yang dirilis, Popcon 2015 dapat dilihat sebagai sebuah milestone dimana kedepannya industri komik lokal Indonesia akan semakin tumbuh. Untuk yang belum familiar dengan karya lokal komikus Indonesia, tidak ada waktu yang lebih baik untuk berkenalan selain sekarang. Dibawah ini adalah komik komik Indonesia berkualitas yang saya rekomendasikan untuk dibaca. With the increasing portrayal of startups in the mainstream media from Social Network to Silicon Valley tv series, getting into startup is probably the coolest things to do nowadays. The possibility of a billion dollar valuation plus the extravagant job perks , whats not to like ?. 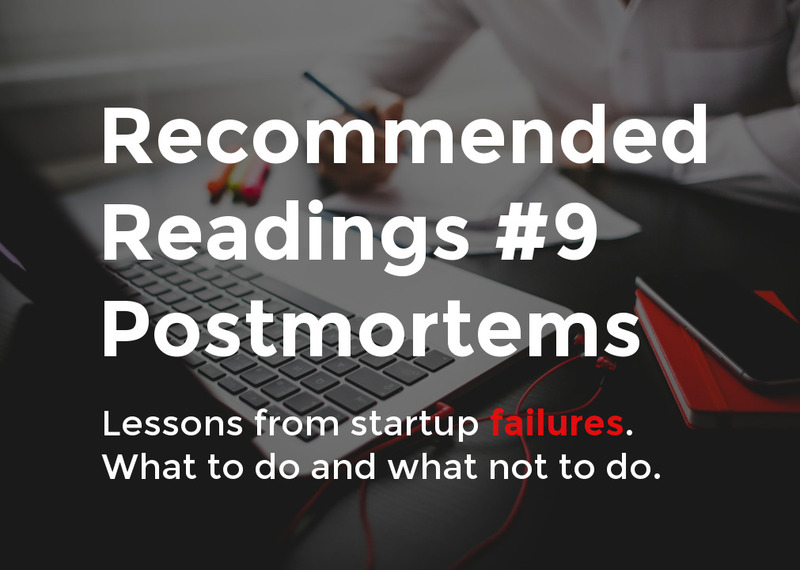 However, beneath its shiny promises, startup had 90 percent failure rates. Highly successful startups such as Facebook, Twitter, AirBnB are the exception not the rule. In fact, startup who achieve that kind of success were called unicorns because of the near-fictional occurrence. With that kind of rate, failure in startups is expected rather than something to be shameful of. Tom Delonge is no strager to entrepreneurship. Back in the day when he was running naked together with his bandmates, Tom succesfully founded two worldwide clothing brand Atticus and Macbeth Footwear. Back when record sales hasnt plummeted down yet, He succesfully made his band merchandise can even be bigger than the band itself. In his newest venture Modlife, Tom spreaded wings to not just clothing. Read this FastCo article to know more about Modlife. Responding to XL LTE public testing back in October, Telkomsel launched the first commercial LTE services in Indonesia. But apparently subscriber who used Iphones and Ipads are not yet able to access the services due to certification restriction and spectrum incompatibility. Ex-Daily Social editor, Aulia Masna explain in details regarding these issues. FastCo and MIT Technology review contributor John Pavlus underlined problems with most data visualization dashboard : looks great but didnt make decision making easier. To tackle this problem, John suggest to consider verbalizing the data. Instead of sophisticated chart, data should be presented in narrative sentences to make it more actionable. The dashboard should tell you the information rather than showing. This is comprehensive yet palatable explanation on UX. 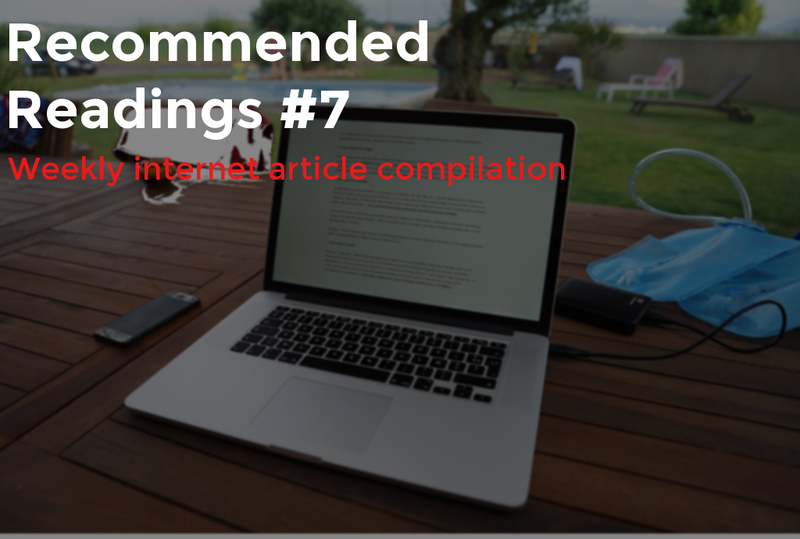 It covers from basic definition on UX, explanation of all the UX lingo ( such as A/B Testing, wireframing) and also industry standard tools for UX design. Bookmark this article if you interested in web or design in general. 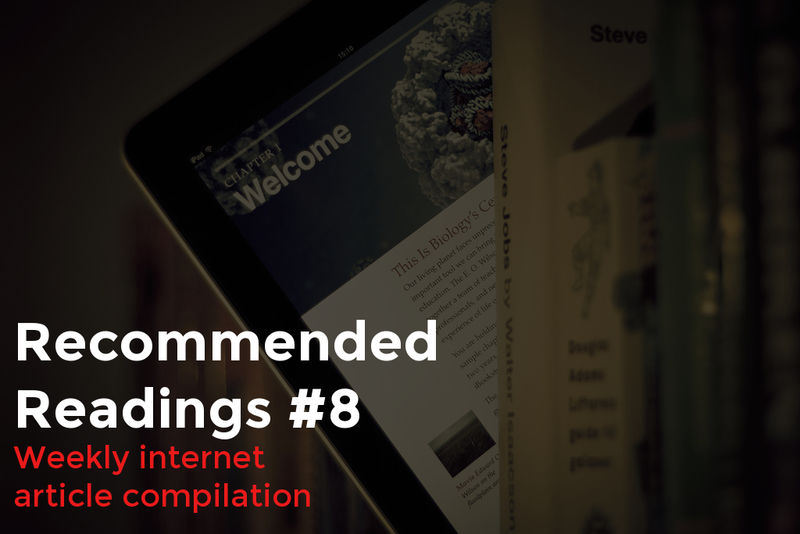 Recommended Readings (RR) is a weekly compilation of internet articles which is interesting and insightful. No limitation on the topic, as long as it ticks me ill share it with you guys here. Check out the previous RR articles here. Aaron Levie is an outlier within the outlier. He was the founder of Box, cloud storage similar to Dropbox but targeting more on corporate. When nowadays startup founder is associated with hoodie, hes more corporate suit guy. The article describe his upbringing, the pivotal story of Box and why he thinks enterprise software market is a ripe place for disruption. Watch also his lecture on Sam Altman’s Startup Class where he gave in depth talk about developing for enterprise. Hes quite funny. I never gave app review, not even once. I think the review pop up just annoying and break the experience of using the apps. Apparently there is a better way to do this and an news reading app Circa nailed that. Great read on how to design less intrusive UX and also a bit of insight why customer reviews matters in a mobile application. I am among the 174 million people who use Reddit in daily basis. In fact, i kinda addicted to it. The site was productivity blackhole with lots and lots user generated contents to sift through from daily game deals , interviews with all sort of people and tons of other things. Mashable recently published long feature article describing 9 years saga of how Alexis Ohanian and Steve Huffman created the now called internet frontpage.